Home Fundamental problem of money and banking; how to fix it? Fundamental problem of money and banking; how to fix it? The foundation of modern monetary economies is the money and banking which have evolved together in markets. They cannot be separated and will continue to evolve together. Their new phase is the electronic environment whose benefits, costs and risks will be fully experienced, probably in the next decade. Everybody knows the great facility provided by money and banks to economic activities and living standards of the human-being. We all can think of the catastrophe we will confront if a banking black-out suddenly happens for a week. The monetary literature shows that the present paper-based money was invented by banks as gold-backed private moneys in their business in the 16thto 19thcenturies. Such private moneys were later unified and nationalized by creating the legal tender (state money), state central banks and bank regulations since the beginning of the 20th century in order to prevent production of too much private money backed by too little gold reserves and resulting money and banking crises happening from time to time and to keep the economies and societies prospering under the state monetary systems. However, the production of money by banks as well as money and banking crises have continued as before. Banks re-started producing or creating book-keeping money in official monetary units backed by too little reserves of legal tender through their business of lending and borrowing. The volume of such bank money constitutes the majority of money in circulation and runs modern monetary systems. For example, the bank-created money is nearly five times the officially printed money in Sri Lanka, UK and USA and it is three times in the Euro area. With electronic banking and payment systems now advancing, it will exceed 95%of money in the near futureby leaving central banks and governments virtually incapable of controlling the money stock. If money createdby shadow banks and financial markets is considered, the volume of official/state money is already a negligible portion in the economy. The bank-created money is almost unsecured money with reserves less than 10%. This can be understood by looking at the balance sheet of banks.The balance sheet of banks generally contains liquid or demand liabilities (deposits and short-term debt) more than 90% which are the private bank money. On the asset side of the balance sheet, cash reserves (cash at hand and deposits with the central bank) are not more than 10% of the balance sheet. The balance assets contain various risky assets dominated by loans constituting 80% to 85% of the balances sheet. So-called liquid assets such as Treasuries and short-term funds which have been developed in place of cash reserves held by old banks to protect currency systems are also subject to various risks during banking system stresses. Even Treasuries are credit to governments which can go bankrupt as the world literature shows. The total value of such liquid assets of banks does not generally exceed 20% of their deposits and debts or demand liabilities. This shows that only less than 10% of bank assets is available in cash/legal tender reserves to repay demand liabilities of more than 90% of bank assets/balance sheet in an eventuality. Therefore, the interest and role of shareholders with limited liability in banks (capital being less than 10% of the balance sheet) are only book entries that can vanish at any time. In the circumstance, the notion of shareholder value has no place in banks as banks operate on depositor value at risk. As such, the fundamental problem of money and banking is the unsecured bank money dominance in the economy which results money and banking crises from time to time.The last global financial crisis 2007/09 has refreshed terrible experiences of money and banking crises and its recovery of the world economy is not complete even after 10 years. During banking crises, private/bank money evaporates causing credit and liquidity crunches overnight which will drag economies into recessionslingering at least a decade. Therefore, the core of the modern monetary economies remainsto be the bankingwhich produces money and runs monetary systems. Given their nature of inherently risky business and fundamental problem in money and banking, no bank is immune to banking crises. However, banks can operate in such a risky environment because depositors and creditors regularly demand only a small portion of their funds at banks as they have a general trust that banks will pay-back their money when needed at any time. This trust has nothing to do with technical financial soundness of banks. They do not know fashionable risk management systems or financial hygiene of banks as shown in bank financial statements prepared and disclosed in technical jargon that even professional accountants and risk managers will not understand. None of financial media provides comments on financial hygiene of banks based onsuch financial statements. Depositors also do not know what exact role the state regulators play to protect their funds although they generally expect the state to bailout them in catastrophic situation as usual even in the case of failures of unauthorized shadow banks. In normal times of the economies, the trust poses no threats as the majority public need banks for their routine life. However, the trust is an accumulated state of mentality of both bad and good that customers feel on their transactions and interactions with banks. In every instance, the customer gets a feeling how the bank cares for his or her money. Most depositors do not take troubles in frequently shopping across banks to find the bank that best cares them due to documentation difficulties and general trust prevailing in the banking system. However, in any eventuality, bad feelings will blow-up the trust and hit banks. The nature of the banking business is such that the trust-blasts are highly contagious across banks and they cannot be predicted. Such instances are the bank-runs. In modern banking, we will see a physical bank run by way of ques in front of a bank only after the run has already attacked the bank electronically through the internet banking. No bank can expect to go free in the event of a banking panic. Therefore, the depositor trust is a highly fragile and irrational mental condition that all banks must be careful of. 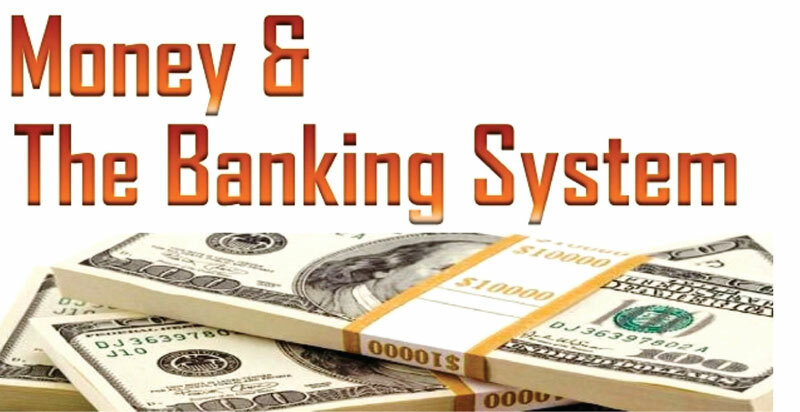 As such, the solution available with the most of us to fix the fundamental problem of money and banking is the protection of the trust of bank depositors and creditors who hold the unsecured bank money. It is no secret that the protection of depositor trust in banks is nothing but the protection of banks and the banking industry although most bank staff may not be mindful of. Given above factsin modern money and banking, banks need to organize their business affairs with an explicit target of protecting the depositor trust in both respective banks and banking industry as a whole.The conventional accounting-based regulations such as capital/solvency, liquidity/liquid assets, provisions/impairment and thousands of other rules, sophisticated risk management techniques and corporate governance practices cannot guarantee the depositor trustbecause depositors are not aware of the compliance level of banks with any of those. None of regulators or bank directors or managers know all those rules, techniques and practices which are not traceable and interpretable in one readable document and, therefore, banking business is de-facto free. Whatever financial numbers and risk indicators that banks prepare and regulators, auditors and rating agenciescheck on random basis are only paper work that nobody can read and fully understand the causes and symptoms of vulnerabilities of banks that are causedby dark corners of bankswhich become known only after they hit the banks.The post-mortem of the last global financial crisis is still not decisive and complete. The reality is that even global banks have fallen into bailing-out hands of tax payers from time to time as those systems had not been effective and efficient. In today’s business accounting and innovative banking products, it is extremely difficult to know the actually realized value of banking businesses as against sophisticated fair value arrived at based on models and discretions whichis intellectual accounting work that has nothing to do with the layman customer trust. Even banks with chronic ailments of accounting insolvency, illiquidity and losses can be in business in normal times as long as depositors and creditors are not panic. Therefore, banks need to practice a set of common sense banking for keeping and nurturing the depositor/public trust in banks.A few thoughts what I believe as important in that direction are presented below. Banks have to be in business for generations standalone or merging with some other banks without interruption to customer transactions. In banking business, private bank money or demand liabilities,which are perceivedby those depositorsas riskless,are created through grant of longer-term loans which are risky to banks as loans cannot be recovered on demand. This risk-mismatch is the systemic risk that all banks confront and causes bank runs in the event depositor trust is lost.The quality of classes of bank assets and capital adequacy are intellectual concepts used to protect the technical solvency of banks in the long run. The government assumes the liability of only printed money which is only one unit out of each six units in the money stock. 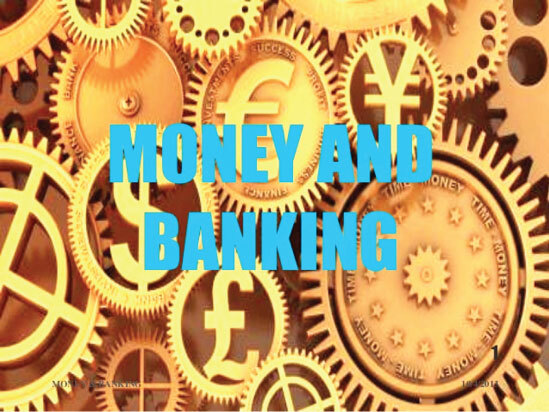 Therefore, banks have to assume the liability of the bank-created money or deposits in the money stock as the state liability bearing cash reserve held by the banking system is mostly less than10% of total deposits. In final analysis, both classes of liabilities are only paper-based writings as no real assets such as gold or other valuables are guaranteed to redeem such moneys. Therefore, banks have todriveslowly. Pushing the accelerator hard means creation ofbank money too much and too faster that could topple banks and economies in a short time in the event the systemic risk hits. Banks should not get into asset markets for trading profit or hedging banking books because they add further risks of speculation to already risky business of banks. Assets markets are highly speculative and asset price bubbles have been the cause of almost all banking crises in the literature. If a bank reports impressive or sugar-high financial results from gains (realized and unrealized) on assets, it is not a bank but a trading organization which can go bust at any time. At present, many global banks are struggling on their trading portfolios to manage adverse impact of market movements on their financial reports, despite cuttingthem down significantly after the last global financial crisis. This is the area where banking history shows a massive scale of rouge trades, insider dealings and market manipulations inclusive of rates-fixing scandals. Innovations in products and delivery modes should be cautious as they often lead to mis-selling, cross-selling and distant customer relationships. Nobody thought that the complex structured products which revolutionized the banking landscape with financial engineering in advanced market economies in 1990s would cause once-in-a-century financial Tsunami in August 2007. Similarly, electronic banking services that banks have commenced to offer competitively through mobile Applications (Apps) are calling for immense risks to customer trust. First, customer information confidentiality is seen virtually breached as the mobile phone companies, App providers and cloud-keepers are smart in monitoring customer financial transactions regularly through a global network of content mangers and using such information for various profit motives of third parties. The best example is the recent revelation of the Facebook consequent to the Cambridge Analytica scandal that has now caused risks, not only to the Facebook but also to the social media industry, due to both regulators and fraudulent users/subscribers. Second, the risk of robing customer funds by electronic bank robbers is extremely high, given the massive development of the hacking industry. Any transaction taken place through the internet is a cyber foot-print to hackers. In such instances, customer-conflict resolution is extremely difficultas it ends up atlaw enforcement authorities. The recent story of hacking a central bank account at the New York Fed Reserve through so much trusted SWIFT, which would have ended up in an electronic robbery of nearly a billion of US$ unless a small Sri Lankan bank detected it from its manual internal controls (not sophisticated IT risk controls), is a good example for banks who have the god-like-trust in e-banking. The leakage or supply of customer financial profiles in electronic files to internal marketing teams and external parties is also a considerable operational risk to both banks and customers because nobody knows the final destination of such information and its use. Third, various fees charged by banks are raising the cost of money transactions, confusions and bad feelings. For example, new fees charged for over-the-counter-transactions as against the use electronic modes such as ATMs and Apps-based banking are against the basic relationship-based banking, especially as banks cannot guarantee the security of electronic modes. An adult coming to a bank branch with a pass-book to deposit or withdraw a small sum less than Rs. 100,000 becomes desperate when he or she sees bank notices advising customers to go to ATMs for deposits and withdrawals below Rs. 100,000 or pay a fee, i.e., Rs. 20 or Rs. 30, for each such cash withdrawal from the branch counter. A similar instance is when a bank all of sudden asks for a fee of Rs. 100 for an internal fund transfer between two accounts of a customer in the same bank or advise the customer to get the internet banking facility to have such fund transfers free of charge. The modern IT is for the young whereas the majority retail customer base is the other two generations that banks have to bank on. Hope that banks may not start moving to modern robotic and artificial intelligence environment to claim more efficient and convenient banking for better customer relationship. Therefore, it is advisable that banks identify digital customers separately and provide e-banking to them with required legal safeguards without penalizing the rest. Otherwise, e-banking products might get into allegations of mis-selling later.